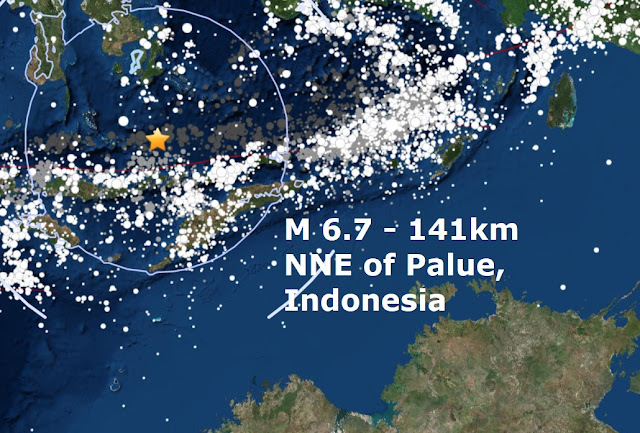 Just as I predicted here on Sunday we have a major quake, a very deep (550 km) magnitude 6.7 Indonesia. A magnitude 6.0 Southwest of Africa yesterday was downgraded by USGS to a mag 5.9. Today's major quake is the 8th of October and only the 82nd major quake of an extraordinary quiet 2017. 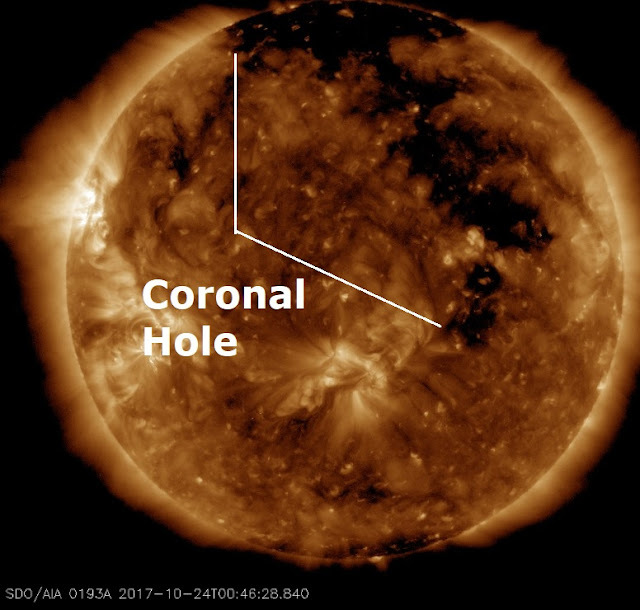 The solar wind emerging from a large coronal hole on our Sun will reach incredible speeds of more than 600 km per second and is expected to reach Earth later tonight when the chance of major quakes will decrease.